Putting on the glitz & glamour doesn’t have to be complicated. The striped top’s best friend has to be denim pants. Finally the right tank top for the right price! 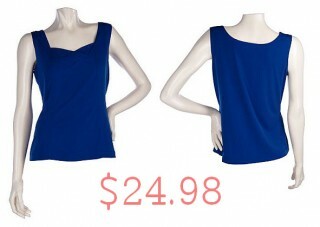 Here is a perfectly simple tank with a smart silhouette. A few days ago I was watching the news and one of the anchors was wearing a gorgeous blue button shirt. The way she styled her look with a blue shirt and khaki suit, it was so clean and refreshing.